Mobile app CoDriver takes complexity out of the RDE test requirements. Real-time guidance for drivers helping to maximize the output of valid RDE tests. HORIBA, a leading supplier of emission measurement and automotive test systems, introduces the mobile app RDE CoDriver that significantly increases the yield of valid RDE tests. RDE CoDriver navigates the driver through complicated Real Driving Emissions (RDE) test requirements including trip composition, driving dynamics, altitude and temperature conditions, ensuring the success of the conducted test. RDE CoDriver adds significant value to the customer by increasing the number of successfully completed tests, training the driver with the actual testing route and the driver dynamics requirements as well as better integration into the lab facility. The app is available as a free download with limited functionality and a full licensed version. In rallying the co-driver takes on the crucial role of navigating the driver through the turns and obstacles along the course. The RDE CoDriver steers the driver through the complex Real Driving Emissions (RDE) test requirements to ensure the successful completion of the test, thereby supporting test engineers maximizing the test yield of highly complex RDE tests. These requirements include specific boundaries regarding trip composition, driving dynamics, altitude and temperature conditions. 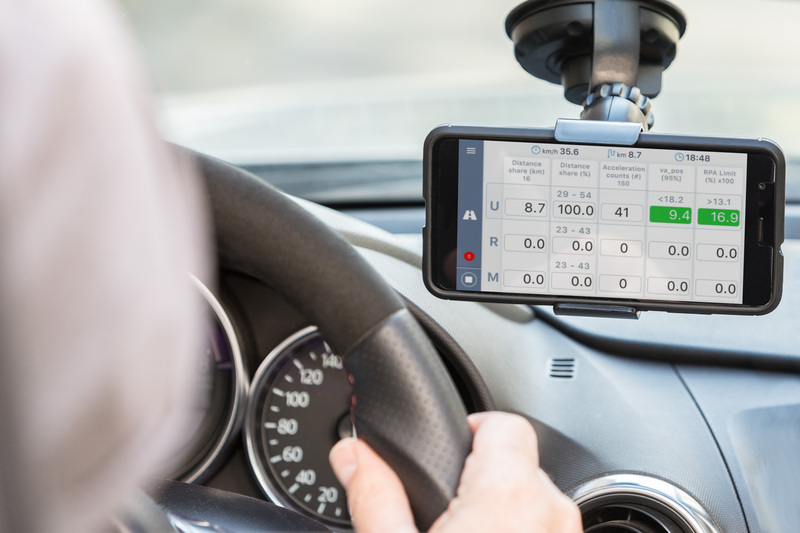 When RDE CoDriver is installed on a mobile device with GPS capabilities, it can function as a training tool, allowing drivers to familiarize themselves with new test routes and the associated driver dynamics, without the need for additional equipment. “The controlled boundary conditions for RDE tests add complexity to the testing procedure and cause the percentage of invalid tests to rise consistently. The result: drivers may need to repeat a test several times before it finally passes, which is an additional burden on resources and costs,” adds Siebler. Throughout an RDE test, the RDE CoDriver app calculates and visualizes real-time information based on the data obtained from the wirelessly connected PEMS (Portable Emission Measurement System), such as the HORIBA OBS-ONE. The app immediately informs the driver in case of a failure, reducing wasted test time and resources to a minimum. The user interface exposes all the relevant information through easy to read displays, ensuring the driver’s safety during the test. In conjunction with STARS Enterprise, HORIBA’s laboratory automation system, the RDE CoDriver can stream live data back to the laboratory and engineering facilities, allowing engineers to monitor the test and to react to events in real-time. Once the driver completes a test, the RDE CoDriver uploads the results immediately to the central data storage from where the engineers can further process the data without any delay. The RDE CoDriver will be available as a free download with limited functionality from the app store. Customers can upgrade to a full license subscription through the HORIBA sales channel.